The maintenance window is currently running. Analyse space consumption from the last 30 backup jobs. Displays the amount of new data and how much space the garbage collection has recovered. Display free partition space. This is not an equivalent to the free space displayed in the GUI but can reveal issues if partitions are full. Display VDP appliance properties. This is an equivalent to the information shown in the vSphere Web Client. Display backup jobs information. Each activity is a backup job from a single virtual machine. 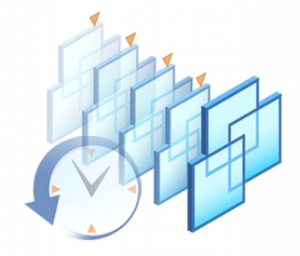 If you have one daily backup job with 10 VMs configured in VDP, you will see 10 activities per day. Regarding "capacity.sh". If you would like to list more than the "Top 3" changers, simply edit capacity.sh. For VDP 6 the file is located /usr/local/avamar/bin. Scroll to the bottom of the file and edit the section that starts:(line 134?)tot=$. Change "Top 3" to your preferred number. And change "head -3" to "head -"yourpreferrednumber". Save the file then run the command. Your new output will display. How can i select only non completed bacp using this command ? How to figure out the names of VM's that are getting backedup in different backup jobs via CLI in VDP ? Someone, need add a virtual machine to a backup policy in vDP across command line?